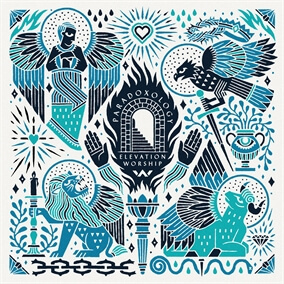 Paradoxology is a reimagined take on songs from Elevation Worship’s most recent album, Hallelujah Here Below. Paradoxology includes new versions of songs like, “Here Again,” “Echo,” and “Hallelujah Here Below,” as well as a brand new single, “With You.” Their latest album, Hallelujah Here Below, is derived from the “doxology,” which reminds us to, “Praise God, from Whom all blessings flow. Praise Him, all creatures here below.” Paradoxology revolves around the paradox of a perfect God receiving imperfect praise. Original Master MultiTracks, Charts, and other worship-leading resources for Paradoxology are now available.